Suffering severe, winter-induced cabin fever? 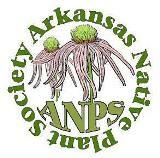 Then join Arkansas Natural Heritage Commission botanist Brent Baker March 31, 2012, 9:30 a.m., for a refreshing early spring plant walk along the newly established trails at Cove Creek Natural Area in northwestern Faulkner County. You will be able to stroll through extensive cedar glades to a steep sandstone bluff overlooking Cove Creek just above its confluence with Cadron Creek. Here you will see the rare Ozark spring-beauty (Claytonia ozarkensis), first described in 2006, blooming among the cracks and crevices of the bluff. Hikers will then follow the trail south along the creek, enjoying several additional overlook spurs along the way, to a rich riparian forest where many wildflowers will be breaking winter dormancy. The trail is about 1.5 mile, easy and the walk will conclude around lunchtime. For questions, please contact Baker at 479.970.9143 or brent@arkansasheritage.org. This entry was posted in Field Trips and tagged Arkansas Native Plant Society, Cove Creek (Arkansas) Natural Area. Bookmark the permalink.